Not only at Heating Centre do we supply and install new boilers and heating services, but with our in-house engineers we offer a full aftercare solution to ensure your boiler is working to its full potential whilst meeting all safety standards. We are on the Gas Safe Register ensuring all of our engineers are fully qualified to meet the necessary standards. On 1st April 2009 Gas Safe Register replaced the previous CORGI registration. The Gas Safe Register regulates engineers and is mandatory for all companies working with gas appliances. To ensure your gas boiler meets the gas safety standard, at Heating Centre we can arrange and complete your annual gas boiler service. It is essential this annual job is completed to make sure it is working correctly, efficiently and posing no danger to your household. A faulty boiler can waster energy and money, but also leak carbon monoxide. With showrooms in both Lincoln and Grantham we cover the Lincolnshire area. By signing up with this service we can send you a reminder for when your boiler is due for its service. Contact us today to enquire about servicing your boiler. Like a boiler service it is essential to have your gas fire serviced annually too. At Heating Centre we can service and repair all makes of gas fires including inset, wall mounted and gas stoves. With our Gas Safe Registered engineers we can ensure your gas fire meets all safety standards. The annual service can also help with efficiency, potentially saving you money on your energy bills. Contact us today to enquire about servicing your gas fire. It is a legal requirement for all landlords of rented properties to produce a gas safety certificate for their tenant. The certificate needs to be renewed annually, and with this all gas appliances are required to be checked. At Heating Centre our Gas Safe engineers can complete all safety checks required, checking all gas appliances to ensure you are compliant with gas safety regulations for rented property. Contact us today to enquire about gas safety certificates. It is only natural that after time your boiler and fire will start to age resulting in an increased risk of a fault or breakdown. Like all mechanical or electrical appliances they experience every day wear and tear from being used. If you notice your boiler or fire not working as it should, contact us at Heating Centre where one of our Gas Safe engineers will be able to help diagnose the fault and assist you in getting back up and running again. Servicing the Lincolnshire area, contact us to see how we can help you. To ensure your heating supply is always running to its safest and full potential, at Heating Centre we can assist with all ongoing maintenance required. 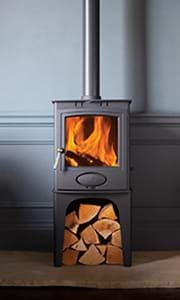 Whether your woodburner requires a new sealant rope or glass door, we can assist with all your maintenance needs. Natural Gas and LPG Qualified Service Engineers. All of our Heating Centre in-house engineers are Natural Gas and LPG qualified too to ensure that all work carried out is to have the highest safety standards. If you wish to discuss any work, products or services with us, please do not hesitate to contact us where we will be able to respond to your enquiry.